General Data Protection Regulation (GDPR) is going to govern the personal data protection matters across Europe since May 2018. Even though the regulation sets the same rules for all member countries, it allows each state to adopt its own rules in specified areas. In the Czech Republic, the government prepared the draft of amendment to the existing Personal Data Protection Act (number 101/2000 Coll.) and the draft is going farther in the legislation procedure. There are several questions arising from this fact. First of all, whether the Parliament is able to pass the draft soon enough, to become effective before GDPR (May 25th 2018). With the Chamber of Deputies’ elections just behind us and the speed of the legislation procedure, this is a tempting topic. And it seems nearly certain that even if the amendment is passed on time, the same will not apply to all other necessary local regulations. Second question relates to specifics, which are to apply in the Czech Republic after effectiveness of the amended law. The draft counts with using the possibility to decrease the age of a child, able to provide his/her consent with offer of information society services. It applies the minimum age allowed by GDPR, i.e. 13 years, as opposed to 16 years set generally by GDPR. The draft also contains a provision regarding information obligation of the data controller. It allows data controllers, processing data to fulfil their legal obligation or during performance of a task carried out in the public interest or in the exercise of their official authority, to inform data subjects on such processing through remotely accessible means. Whether this shall mean that such information is insufficient when applied by other controllers, or whether this only refers to the fact that the selected controllers need not inform data subjects about the place, where such information is accessible, remains hidden and shall be most probably answered by the practice. The draft also specifies the secrecy and confidentiality obligation of the data processing officer, as well as all persons participating in DPO's tasks, set by Article 38/5 of GDPR. DPO and all such persons shall keep confidential and shall not disclose all and any personal data and security measures to protect them, which they got familiar with during performance of DPO's tasks. Such obligation shall however not apply in relation to the controller or processor, who appointed the DPO, police authorities, courts and public authorities. The exemptions from the secrecy obligation seems rather extensive, especially if applied to all public authorities. Whether the wording was aimed only at taking into account the regulatory authority (Czech Data Processing Protection Office) is not clear, but it certainly allows all public authorities to access information from DPO at the moment. The draft defines “public body” contained in Article 37 par. 1 (a) of the GDPR, as the GDPR does not contain any definition itself. According to the draft a public body means a body established by an act or based on an act coming under the public law area, which fulfils statutory obligations in public interest. This may be a welcomed step especially from organisation financed by the State budget (e.g. ministries, other state administration authorities) or co-financed by the State budget (e.g. universities, colleges) and municipal authorities in order to assess the obligation to have a DPO and a possibility to designate a single DPO for more bodies/authorities. Moreover, there is a proposal for an exception to obligation to carry out the data protection impact assessment. The article 35 par. 10 of the GDPR states that where processing pursuant to point (c) or (e) of Article 6(1) has a legal basis in Union law or in the law of the Member State to which the controller is subject, that law regulates the specific processing operation or set of operations in question, and a data protection impact assessment has already been carried out as part of a general impact assessment in the context of the adoption of that legal basis, paragraphs 1 to 7 (of the Article 35 of the GDPR) shall not apply unless Member States deem it to be necessary to carry out such an assessment prior to processing activities. The Czech legislators do not seem to consider it necessary, on the contrary. The draft introduces an exception for the processing regulated by a statute, so in such case it would not be necessary to carry out the data protection impact assessment at all. The draft also introduces an exception for processing data for the journalistic, academic, artistic and literary purposes. The draft even allows processing of special categories of personal data for these purposes saved that such processing is necessary to fulfil a legitimate aim and such aim (to process personal data) prevails over the legitimate interests of the data subject. However, processing of personal data relating to criminal convictions and offences are allowed to be processed for the journalistic, academic, artistic and literary purposes only in public interest. The limitation is extended also to obligation to inform the data subject under Article 14 of the GDPR. The controller processing of the data which have not been obtained from the data subject for the abovementioned purposes may postpone or even refuse to disclose a source of the personal data to the data subject. The condition is that such action is necessary for the protection of the source and the contents of the information. There are also other exceptions to data subjects' rights in connection with the processing for the journalistic, academic, artistic and literary purposes. These exceptions are clearly drafted mainly to protect the press and to balance the protection of personal data with freedom of speech and the right to information. The draft also contains several exemptions and specific rules governing data processing performed by public authorities. 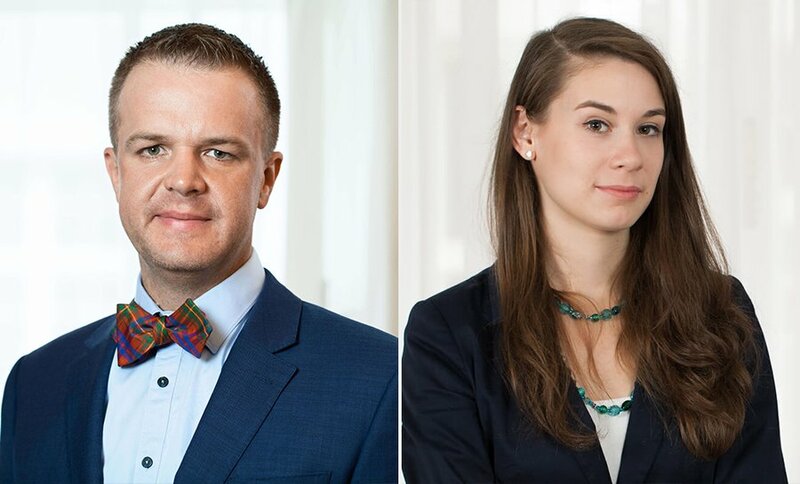 One of the most discussed is limitation of penalties, which may be applied in case of breach of personal data protection rules, by the amount of CZK 10,000,000 (ca EUR 390,000). Although it is hard to expect whether the current wording of the draft of the amendment to the Czech Personal Data Protection Act is to be passed without changes, or the (in the Czech Republic notorious) Parliamentary initiative affects it to some extent, the draft provides the general view on scope of country-specific rules to be applied in the Czech Republic. Let us at least hope, in order to preserve legal certainty so important for businesses and the private sector in general, that the final rules are passed and effective in a timely manner, so that the affected entities have sufficient time to comply not only with GDPR itself, but its implementing local rules as well.